Our heli-ski area in the northern part of Swedish Lapland is unique. Sized like half of Austria and more than 100 mountains to ski. 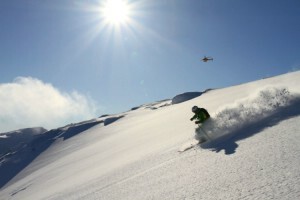 We offer high-quality heli-skiing. Our small group sizes of only five guests per mountain guide ensure minimal waiting time and max vertical. In private or semi-private heli-ski we explore the wilderness of northern Sweden. We also have lift-accessed off-piste skiing right where we stay in Riksgränsen and skiing with a sea view close by in Narvik. We are stationed in the the very north of Sweden, 200 km north of the Arctic Circle, on the border to Norway. 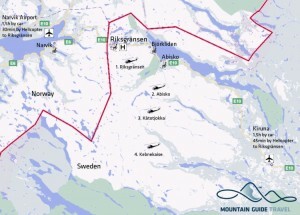 You can fly in to Stockholm and then to Kiruna in Swedish Lapland, from here it is about 1,5 hour transfer to Riksgränsen by car or train. Another option is to fly to Oslo and then on to Narvik/Evenes airport with 1,5 hour transfer time to Riksgränsen by car. The season runs from mid-March to end of May. Midnight heli-ski is available from mid-May. 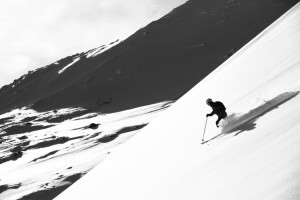 We offer flexible heli-ski trips where mountain guide, helicopter, pilot and ground transport for lift-accessed off-piste skiing all are included. If the weather prevents us from flying we will use the local ski lift at our base Riksgränsen or go to Abisko, Björkliden or Narvik ski resort for lift-accessed off-piste skiing. 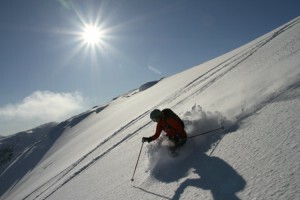 We also have ski touring with sea view as an option. 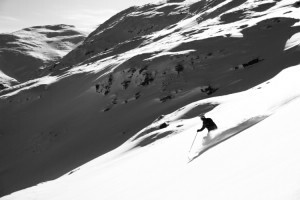 Your mountain guide will be there to help you find the best skiing every day of your visit. We have the highest level of security in both skiing and helicopter transport. All skiers in the group will be provided with avalanche transceiver, shovel and probe. Both the pilot and the mountain guides carry satellite phones for communication as we are far into the wilderness and out of cell phone or radio connection with the outer world. 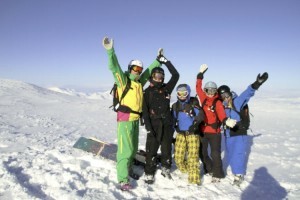 All our guides are certified UIAGM/IFMGA mountain guides. For flight safety reasons names and contact details for all participants must be stated in the booking. Guest comments that we are proud of. 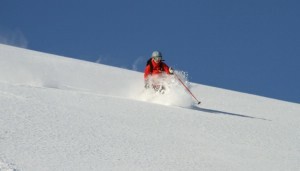 We had an out-of-this-world time heli-skiing with Andreas from Mountain Guide Travel on close to dozen peaks. Not sure if there are many resorts that can beat the scenery with so many peaks and frozen lakes in close proximity but certainly there aren't many guides that can make the experience so special, exciting and yet secure. Price: See price list in the menu above to the right.